This is a computer-based test (CBT) that contains 100 selected-response questions designed to determine whether an applicant’s knowledge and skills of the subject area meet the state’s standards for certification. You are given a total of four hours to complete the examination. For examples of questions you may encounter, try our NYSTCE Communication and Quantitative Skills Test Subject Practice Test. A minimum passing score of 220 is required for certification as set by the state’s standards. Your performance is evaluated against established standards, not in relation to the performance of other candidates. Upon completion of the exam, you will receive a preliminary score report. These scores are not an acceptable substitute for the official score report, which will be received on the designated score report date following successful completion of your examination. Test appointments are available year-round, by appointment Monday through Saturday. 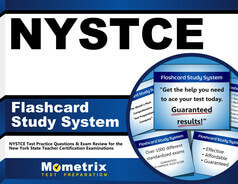 When you register, you may select a testing site located in New York State and nationwide. There is a $107 registration fee. Upon registering for the exam, you agree to abide by all testing rules and policies.